Let me start this post by saying that I’m back in Reno and I couldn’t be happier. I spent the last ten months in Massachusetts and endured one of the worst winter’s on record. An aspect of Reno I missed is the City’s interest in local artists and businesses. As I walked past 1st and Arlington, heading to get a cup of coffee, I saw this artwork by Mike Lucido, which he has titled Raccoon Fort. 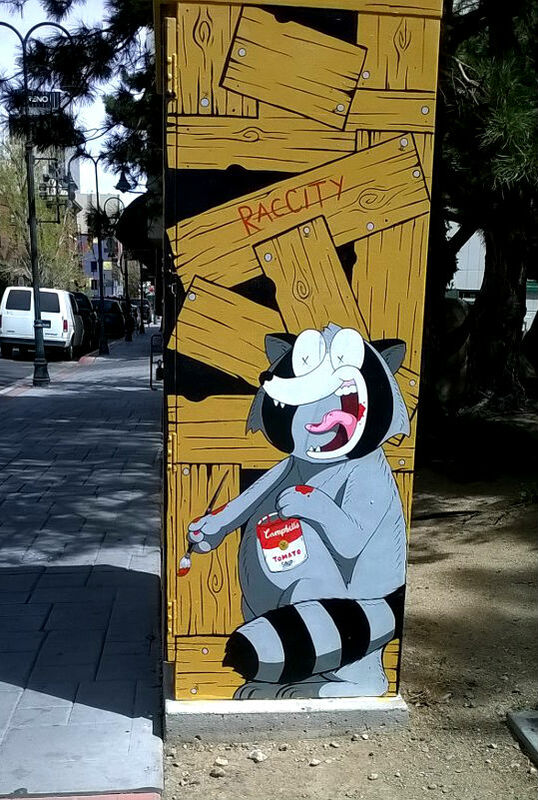 It’s a three-sided painting, apparently commissioned by the city of Reno, featured on a city power box (or whatever it is). I vaguely recall Radcliff Raccoon’s political run for Reno’s Trash and Sewer Connoisseur. 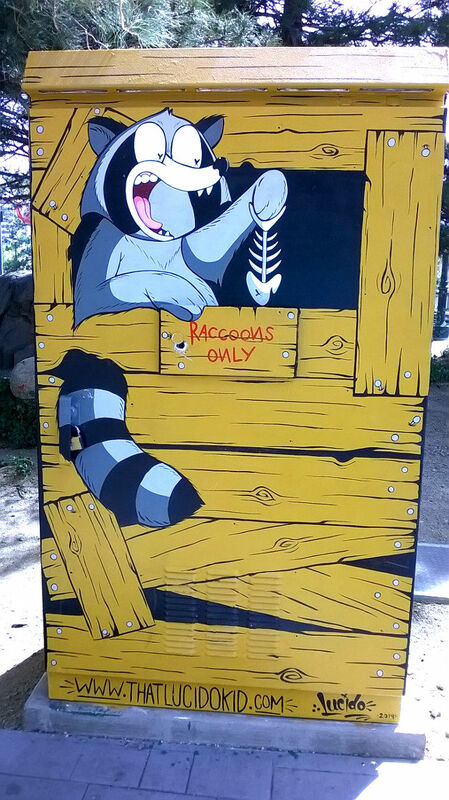 My son, 15, and I walk past Raccoon Fort frequently, and it always gets a smile out of both of us. Lucido’s style, not that I’m an expert, is rooted in a cartoon style, reminding me a lot of old-school Warner Bros. — especially Tex Avery and Robert McKimson. And I can’t help but see some John Kricfalusi tossed into the mix. But then, I’m a John K. fan, so I think of Ren & Stimpy when I’m watching Interstellar. This simple piece of art reminds me why I enjoy Reno.